Our God is an awesome God. He not only defines and defeats sin; he delivers us from the consequences of sin by forgiving our sins and purifying us. 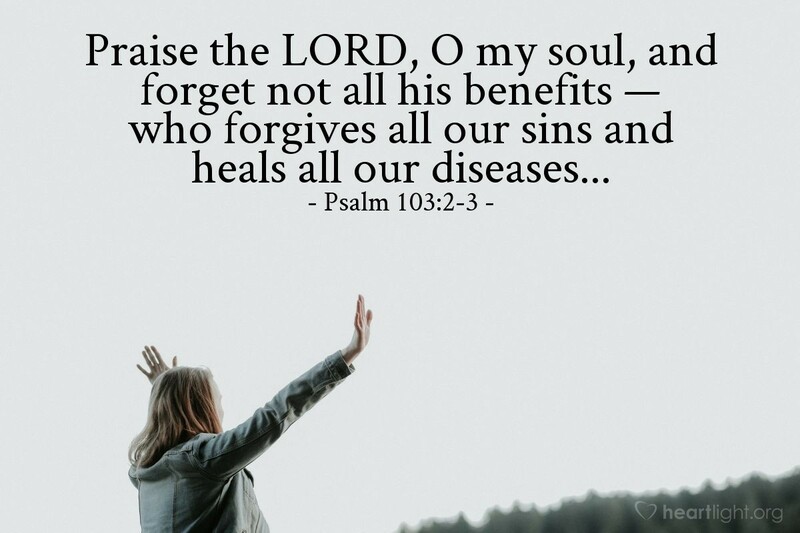 True healing means more than just curing a sick body — and we praise God for the times he has done that in our lives. No, true healing means to forgive and deliver us from what breaks our spirits and makes our souls and bodies unhealthy. Only God offers this "benefit" as part of his retirement package! How can I sufficiently praise you, Abba Father, for your mercy and grace that has forgiven, pardoned, and cleansed me of my sin. Help me never to forget the joy of being forgiven and included in your family. Thank you for your salvation. In Jesus' name I praise you. Amen.